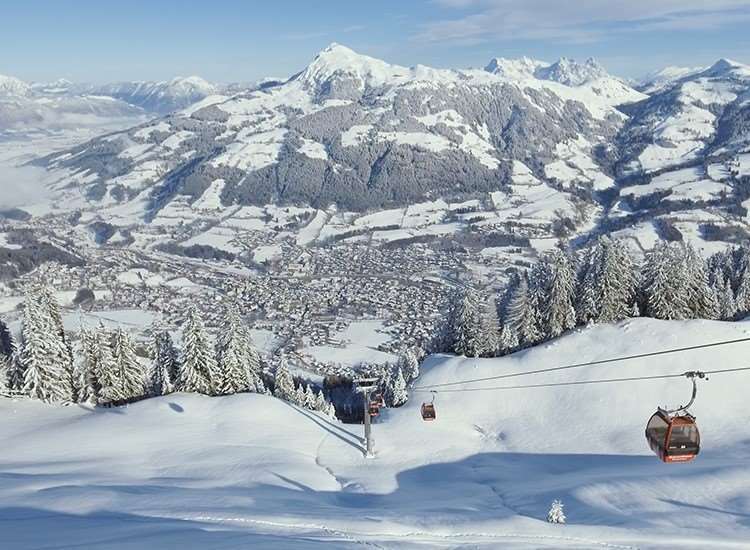 Enjoying an ideal location, the popular Q Hotel Maria Theresia is only a short stroll from the village centre and a 4 minutes' walk from the Hahnenkamm gondola. With a stylish interior blending the traditional and contemporary, excellent cuisine and an extensive spa area, this hotel offers a great base for your winter holiday. The cosy ambiance of the bar/lounge area in addition to the various leisure facilities combine to create a perfect environment for relaxing in after a day of skiing and the charming hotel staff ensure your needs are well cared for. Full of Tyrolean charm and character, guests enjoy the warm welcome and cosy atmosphere.